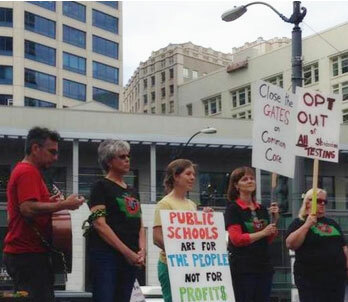 The Badass Teachers Association members, a teacher’s union based in Seattle, marched through the down-town area before reaching the headquarters of Bill and Melinda Gates Foundation on the 26th of June, Thursday. Evidently, some teacher and parent groups were not pleased with these features being taught to their children from as young as pre-school. The opposition to these reforms insisted that they are designed to squelching creativity in children. The supporters of these reforms, however, argue that relating education to real-life skills that are relevant in today’s economic environment are both practical and necessary to ensure students have the necessary qualities and knowledge to secure jobs. Despite the opposition of some teacher’s and parent’s union organizations, there is a general consensus in favour of the reform. And even though the Gates’ Foundation might be having second thoughts about their support on these reforms, the governments seems to be ploughing ahead to implement these changes as soon as possible. Previous articleAre Game Delays Such a Bad Thing?